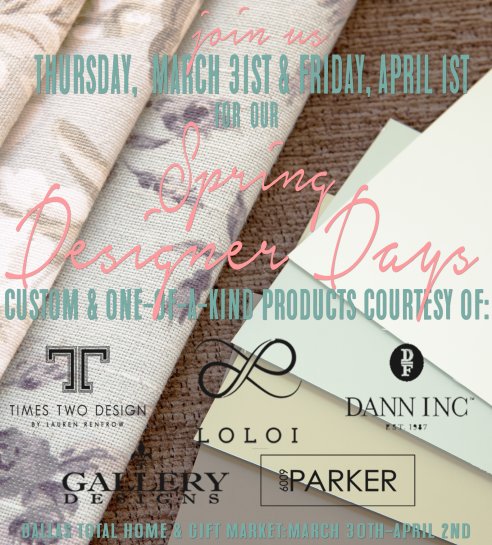 Our Designer Days are Thursday, March 31st and, Friday, April 1st! Join us for some Custom & One-of-a-kind items available from Loloi Rugs, Times Two Designs, Gallery Designs Lighting and 6009 Parker! And on Thursday March 31st, Designer Dann Foley will be hosting a showroom Tour with the IDS Conference!